- manganese steel - liners, diaphragm, chain links, chute liners, kiln roller, shell segments, grate bar, blow bars etc. - carbon steel – wheels, hubs, sprockets, etc. To meet the precise demands of clients, we offer a unique collection of Manganese Steel. Owing to its high tensile strength and robustness, these devices are extensively recommended by various numbers of clients. Our products are manufactured from high quality components which ensure its high tensile strength and reliability. 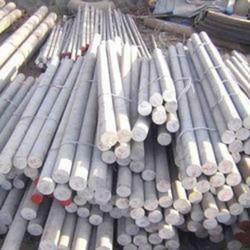 We are a renowned importer and domestic supplier of an extensive range of Bars, HR Coils and Steel & Hot Rolled Products. Withstand extreme shock, loading & impact. Ideal for heavy construction & mining equipment overlays and build-ups. An exclusive array of MN Steel brought forth by us is manufactured by our engineering experts using quality material. It possesses remarkable attributes such as resistance to high temperature & pressure and easy usage. As a result, these find extensive usage in a large number of industries. Further, these can be customized as per the clients’ choices. 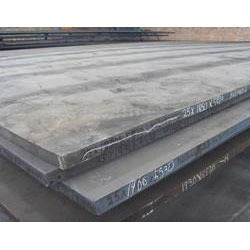 Manganese steel is a steel alloy containing an average of around 13% manganese. Riding on unfathomable volumes of industrial expertise, we are engaged in offering a broad assortment of Manganese Steel.